Createspace Independent Publishing Platform, 9781453844854, 278pp. "2010 Book of the Year WINNER"
Jonathan did not start out his life to become a rambler, it just worked out that way. William was a troubled youth with something to hide. Both were from Melas, a small town tucked away in the West Virginia hills... a town where disappearances are happening more and more frequently. After the suicide of a wanted serial killer, the townsfolk thought the nightmare was over. But when a centuries-old vampire is discovered they find out the hard way it's just getting started. 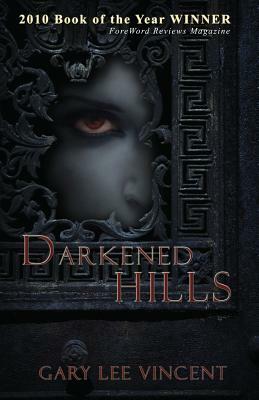 This is Book I of Darkened: The West Virginia Vampire Series by Gary Lee Vincent. Gary Lee Vincent was born in 1974, in Clarksburg, West Virginia, where he lives with his wife Carla and daughter Amber Lee. He is a graduate of Fairmont State University and Columbus University. Vincent holds a Ph.D. and M.S. in Computer Information Systems and a B.S. in Business Administration Management and Psychology. His interests include music, travel, photography, technology, art, and creative writing.